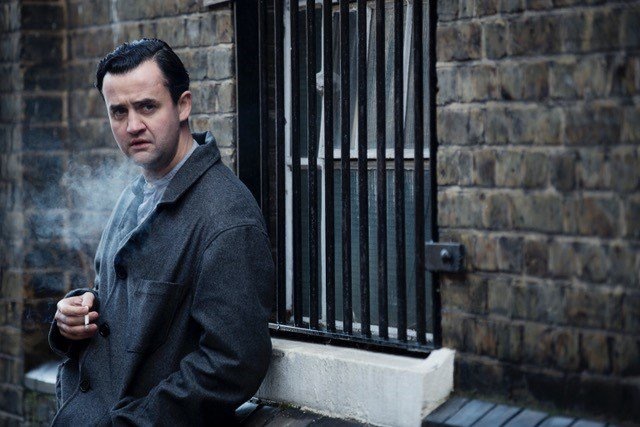 Daniel Mays took part in the BBC’s World War One Remembered: Passchendaele with his emotional reading of “Concert Party: Busseboom” by Lieutenant Edmund Blunder. To mark and commemorate the 100th anniversary of the Battle of Passchendaele, the BBC will broadcast a series of special live programmes from the Passchendaele centenary commemorations in Flanders, Belgium. Spanning two days, the commemoration programming will be presented and anchored by Kirsty Young from a BBC studio at The Commonwealth War Graves Commission’s Tyne Cot Cemetery, near Ypres. Kirsty will be joined by broadcaster and historian David Olusoga in the studio, together with special guests, and Dan Snow will be bringing all the reaction to events and meeting those taking part. The commemorations will begin on BBC Two on Sunday 30 July, with a special broadcast including the traditional Menin Gate ceremony followed by a dramatic event in the city’s Market Square. The imposing façade of the Cloth Hall will be illuminated with projections and lights, together with special live performances from artists including Dame Helen Mirren, Daniel Mays, Alfie Boe, War Horse, and the cast of The Wipers Time. Every evening, the last post is played at the Menin Gate. The distinctive sounding of the bugle call remembers all the men who fought and fell fighting for the restoration of peace around Ypres during the First World War. On this evening, TRH The Duke and Duchess of Cambridge will attend the ceremony. TM The King and Queen of the Belgians will also be in attendance. Following The Menin Gate ceremony, there will be a special event in Ypres Market Square. Presented in front of the historic Cloth Hall, this will be broadcast live on BBC Two and will feature music, stunning projections and live performances. In attendance, among an audience of thousands, will be TRH Duke and Duchess of Cambridge, TM The King and Queen of the Belgians and the British Prime Minister. Highlights of the evening will include performances by Dame Helen Mirren, Daniel Mays, the cast of The Wipers Times introduced by Ian Hislop, a specially written extract from War Horse narrated by Michael Morpurgo, a tri-service orchestra and the voices of the National Youth Choir of Scotland. Daniel’s reading is towards the end of the broadcast (at 2 hours 43 minutes) but we encourage you to watch the entirety of this extraordinary and moving tribute to the soldiers who bravely fought and to those soldiers whose lives were lost during the long fought Battle of Passchendaele in World War I.
Daniel Mays is to star in BBC Two’s Against the Law directed by Fergus O’Brien. Against the Law will have its world premiere at the opening night gala for BFI Flare: London LGBT Film Festival on Thursday 16 March 2017. Public tickets to the film festival will be available 22 February. Updated 9 February 2017 with BFI Flare: London LGBT Film Festival information.